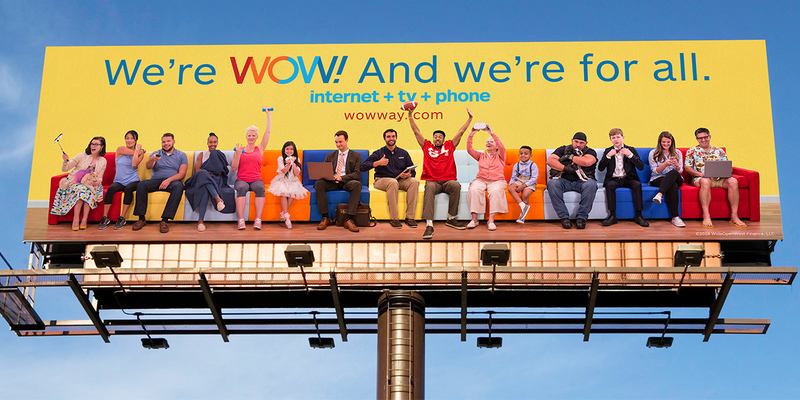 WE'RE WOW! AND WE'RE FOR ALL. 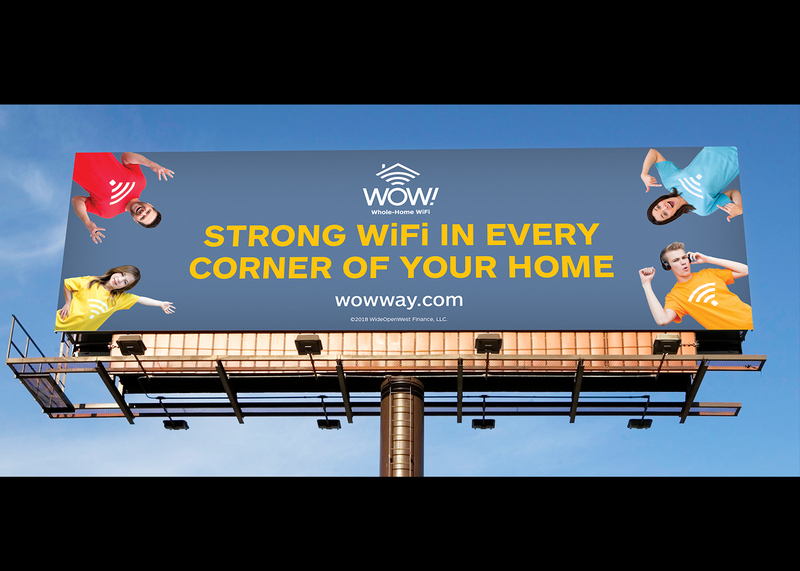 To pair the launch of WOW!’s new product, Whole-Home WiFi, with a brand refresh that would increase offerings, awareness and consideration for a brand with low familiarity and brand recall to current and potential customers. 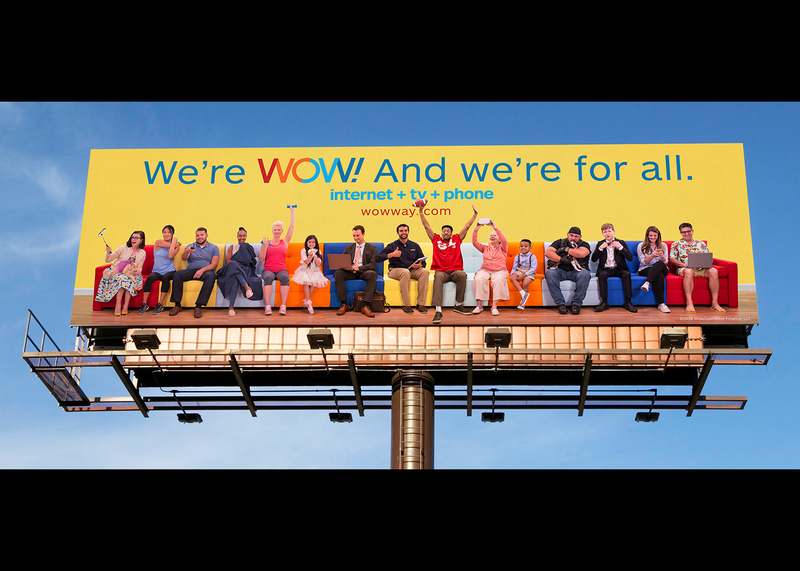 By leveraging the brand’s vibrant, distinguishing color palette along with its welcoming attitude, we were able to help WOW! stand out in a category of black, blue and red. 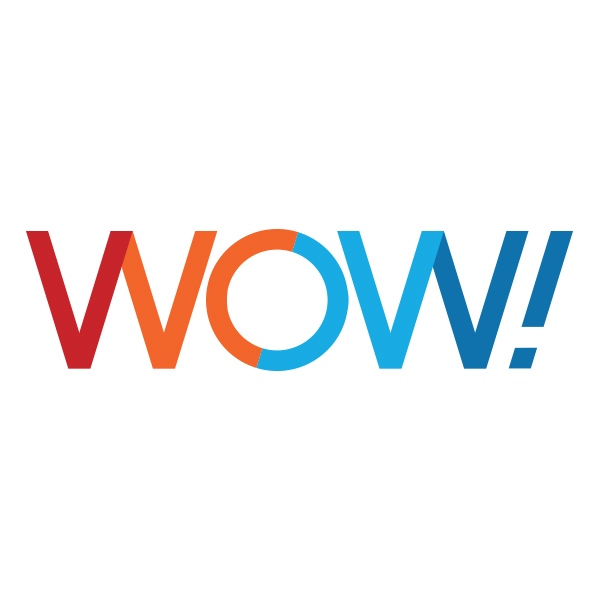 Using a bright, friendly and humble identity, we were able to position WOW! 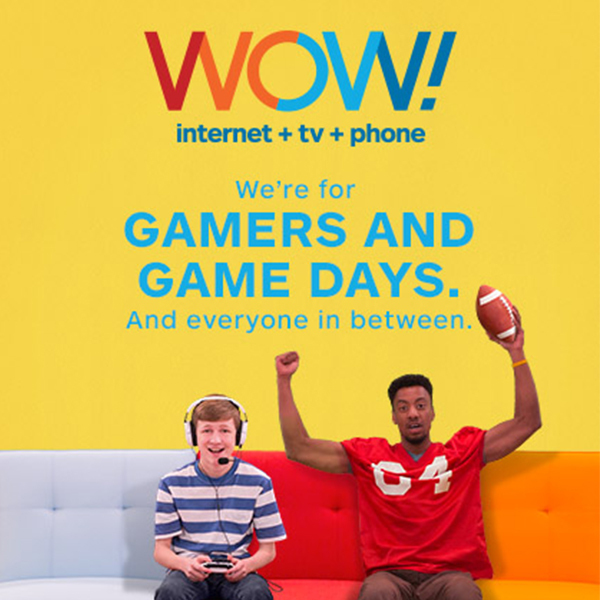 as the “surprisingly different internet, TV and phone company” that creates positive connections every day for all. 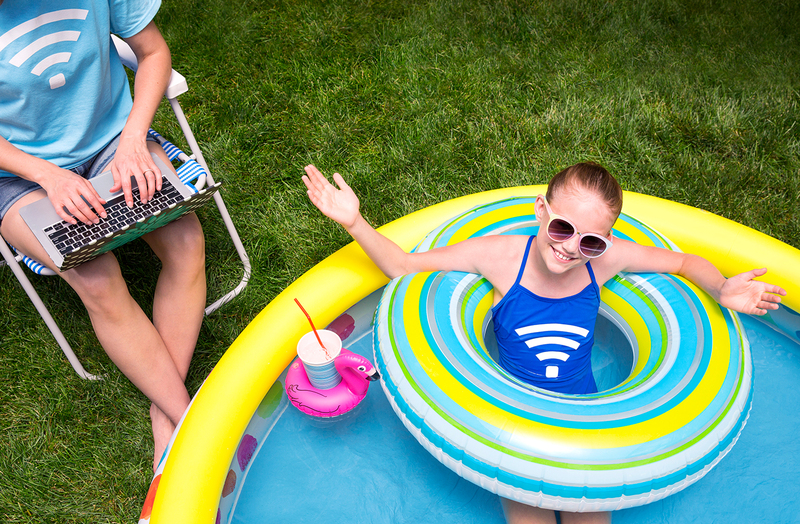 Before the brand refresh, we launched the innovative Whole-Home WiFi product. 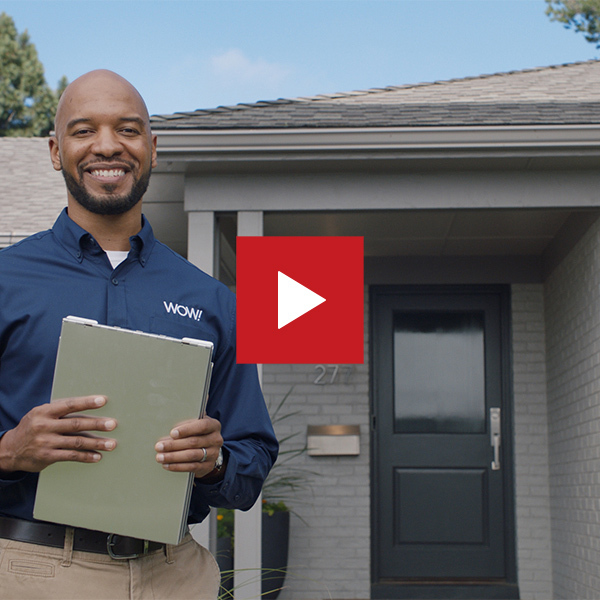 To illustrate the reach of internet and to bring color consistency to the campaign, we brought color to every corner of a house that eliminated slow zones and dead zones, even in places where connection isn’t typically as strong. 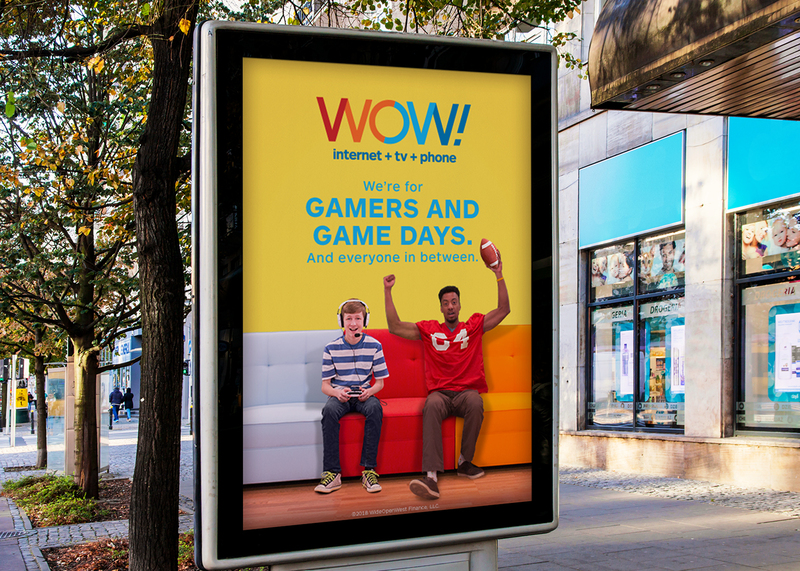 When we got ready to launch the new brand campaign, we created the inviting campaign tagline, “We’re WOW! 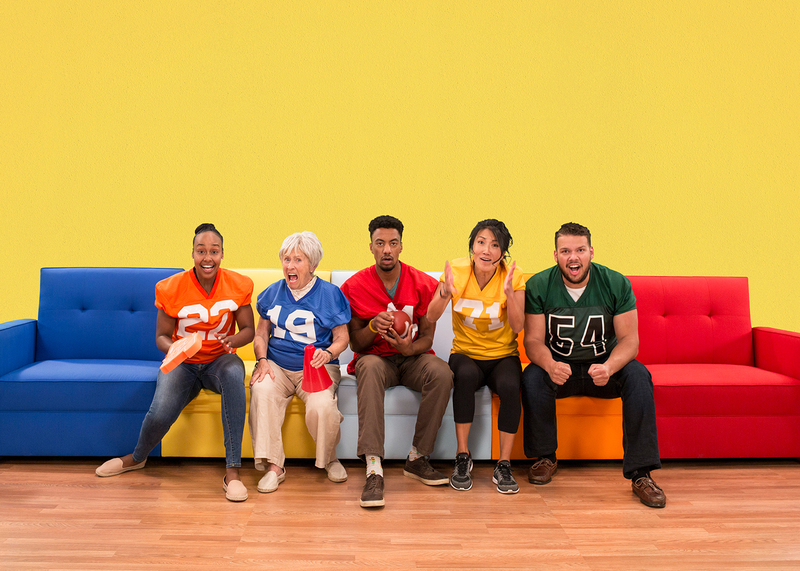 And we’re for all.” We then paired that with a colorful custom-made couch and diverse characters to position WOW! as a company that was for all types of people and all types of internet, TV and phone users. The couch became a recognizable staple that illustrated a comfortable place where people typically interact with WOW! products. 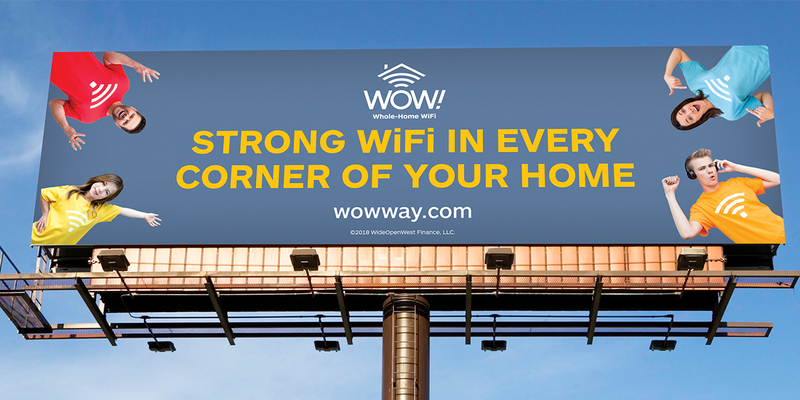 Within a month of launching Whole-Home WiFi, WOW! outperformed their sales forecast by three times. The brand refresh was well-received, generating nothing but positive feedback both externally and internally while it brought new energy throughout the company. 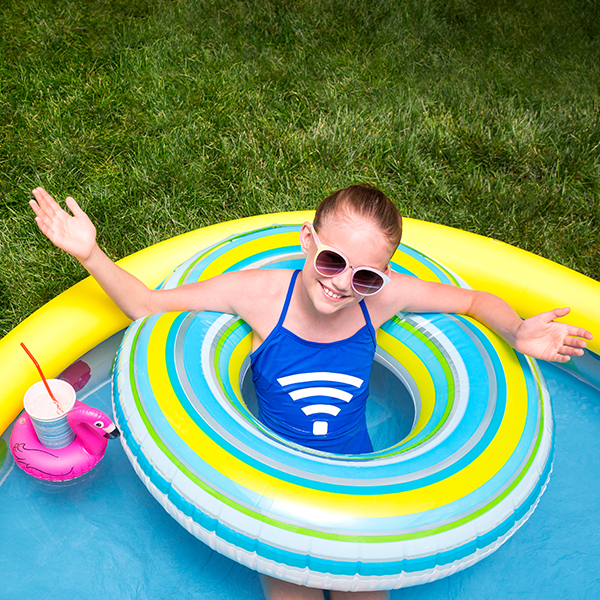 The Whole-Home WiFi launch in Columbus, Ohio, and Pinellas, Florida, met its monthly goal in just two and a half weeks. WOW! tripled their sales forecast in the first month of the Whole-Home WiFi launch.